A criminal defamation complaint has been filed against Congress leader Shashi Tharoor over his remark that PM Modi is like a scorpion sitting on Shiv Linga. The case has been filed in Delhi's Patiala House Court by BJP leader Rajeev Babbar. In his complaint, Babbar said his religious sentiments were hurt. 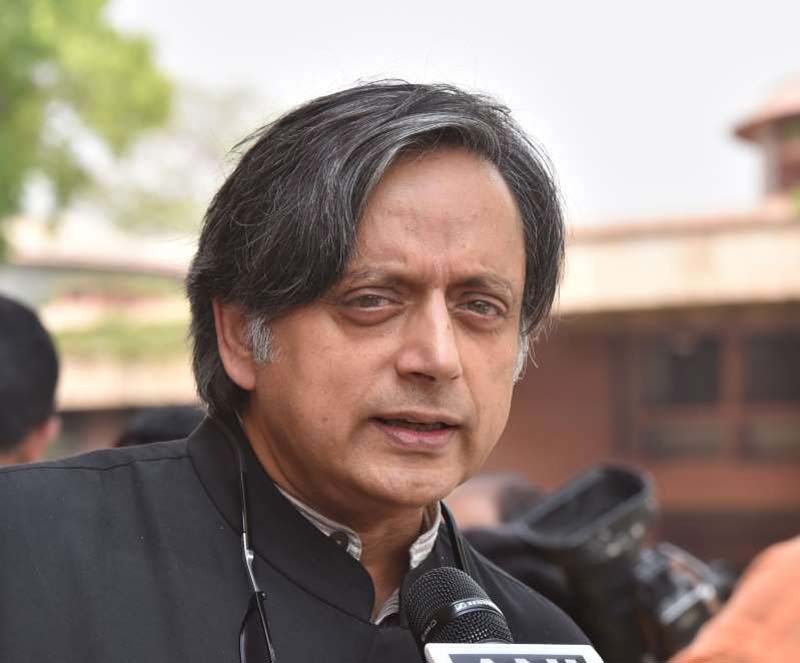 The petition said: "The complainant's religious sentiments were hurt and the accused (Tharoor) deliberately did this malicious act, intending to outrage religious feeling of Lord Shiva devotees by insulting their religious beliefs." It has been filed under Sections 499 (Defamation) and 500 (Punishment for defamation) of the Indian Penal Code relating to defamation. Tharoor had stoked a fresh controversy on Sunday when while speaking at Bangalore Literature Festival, he said he recalls an old news article where an "unnamed RSS source" had compared PM Modi with a scorpion sitting on a Shiv Linga. "There's an extraordinarily striking metaphor expressed by an unnamed RSS source to a journalist. The RSS source said Modi is like a scorpion sitting on a Shiv Linga. You cannot remove him with your hand and you cannot hit it with a chappal (slipper) either." Tharoor had claimed that this quote of the unnamed RSS source was quoted in a news article that he had read some year ago. The criminal defamation case against Tharoor days after he sent a legal notice to Union Law Minister Ravi Shankar Prasad who, on October 29, had called him a murder accused and demanded an apology for his scorpion comment. Tharoor has sought an apology from Prasad within 48 hours for his remarks, which he called false and defamatory.